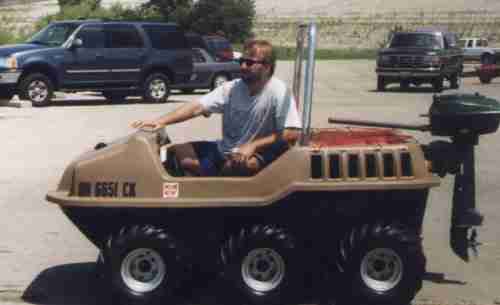 Six-wheel Drive All-terrain Vehicle - Go in the WILD ! 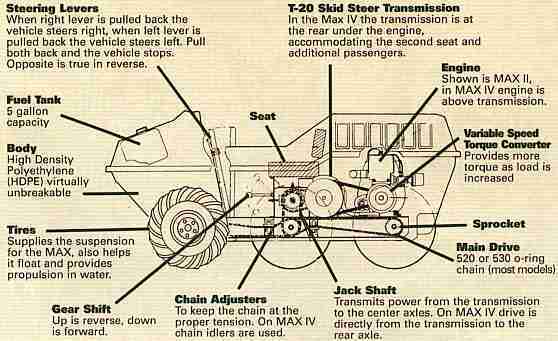 6 Wheel Drive... That's right, all six wheels drive all the time, no matter what the surface. 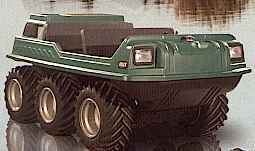 Amphibious... MAX All-Terrain vehicles go in the water with no modification, no changes to the vehicle except insertion of 2 drain plugs. They go approximately four miles an hour in still water (ponds, creek, lakes). The tires make it move in water. Zero turning radius... Through its patented T-20 Skid Steer transmission, by stopping one side while the other side drives, the MAX ATV can make a complete turn within the length of the vehicle. It can also do the same thing in reverse and from a standing point. Drive where you can't walk... MAX ATVs exert less than three pounds per square inch of ground pressure - LOADED. 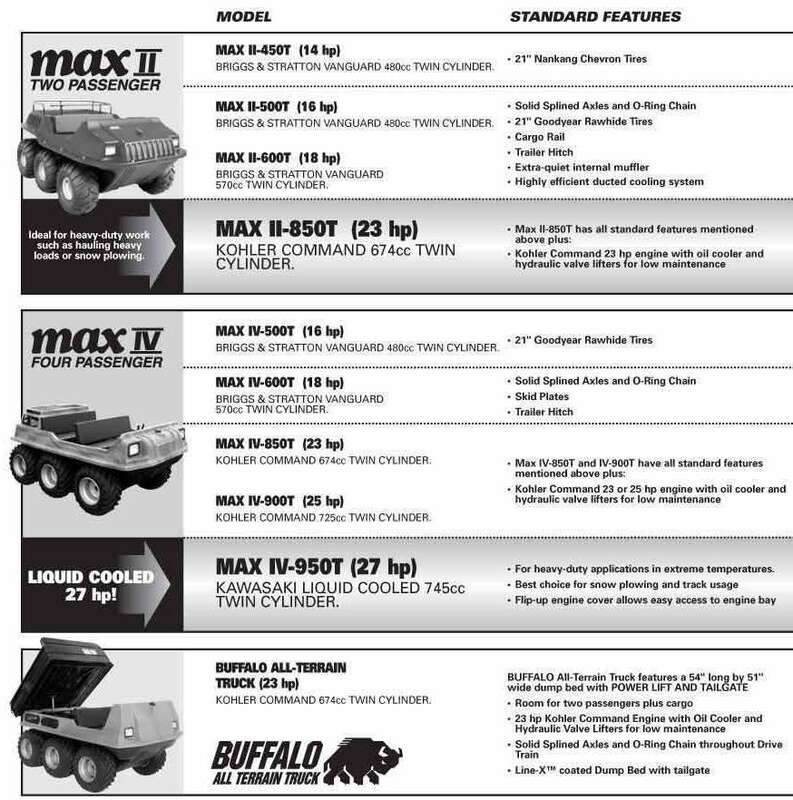 A man exerts 8 pounds per square inch, a 4-wheel drive Jeep, 28 pounds per square inch; no wonder the MAX ATV will go where you can't walk. Add tracks and ground pressure is reduced less than one pound per square inch, Fully Loadedd! Climb steep hills and obstacles... Six-wheel drive and high torque characteristics give MAX the ability to go up or over almost anything. 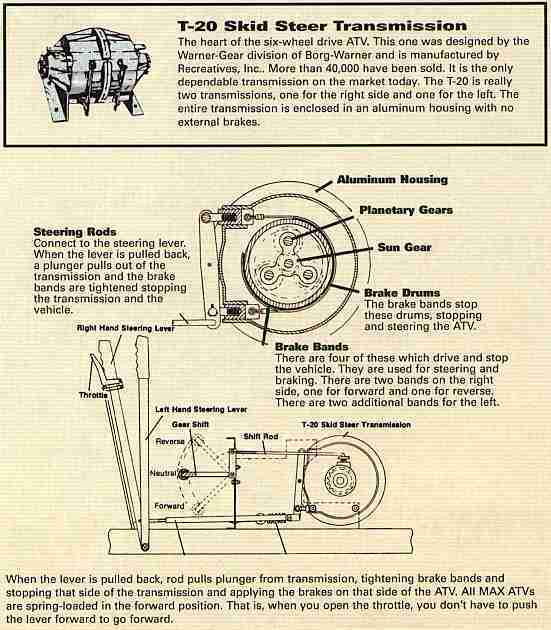 Non-differential transmission... Perhaps the most important feature. 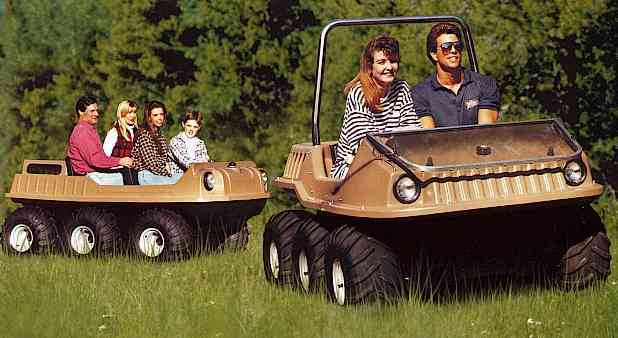 With the MAX ATV each side drives independently. This means smooth turns, turning from a standing start and no uncontrolled transfer of power from one side to the other in mud or ice or snow. Safety... No piece of mechanical equipment or vehicle is totally safe, but MAX does come close. 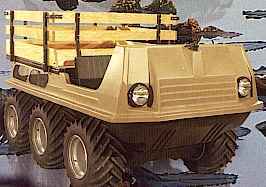 The vehicle is as wide (56 inches) as it is long at the wheelbase (50 or 58 inches). That means you are driving a square, giving you maximum side-to-side stability. We strongly recommend the roll bar or roll cage option with seat belts for maximum safety. 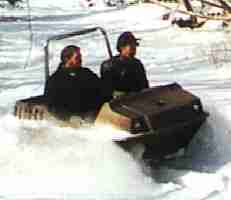 And, unlike four-wheeled ATVs, you sit in a MAX, not on it. Actual colors may be different from how colors appear on your screen. 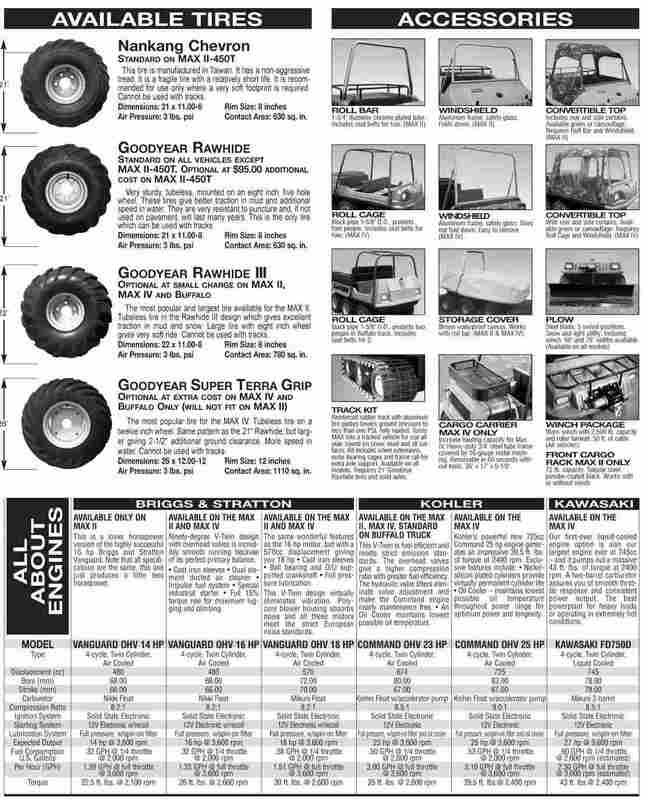 Recreatives Industries, Inc. has been manufacturing the MAX ATVs since 1970, with thousands sold all over the world. The MAX success comes not only from the winning 6X6 design with non-differential transmission and amphibious capability, but also from easy maintenance, high reliability and accessible pricing. Recreatives Industries is located in Buffalo, NY. The ultimate machine to access the Great Outdoors. 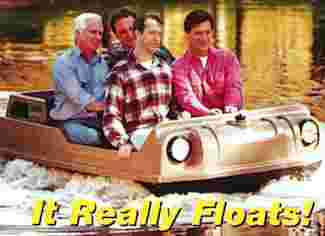 Floats well. Some people even add an outboard motor! Fully hand controlled (throttle, brake and steering).